Christmas Eve Entertainment 1900 | Hill End, Entertainment | Out of Sight, Out of Mind? This is the programme for Hill End’s Christmas entertainment in 1900. 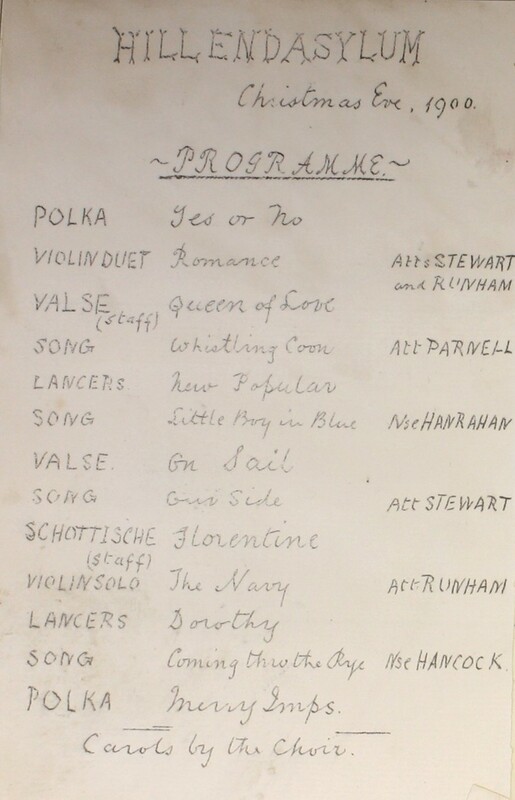 The names are possibly those of patients who each provided their own method of entertaining the hospital.